Writing an book at any time of the day can seem a mammoth task. As an experienced writer you might feel it's outside your limits. If you're a seasoned blogger and have been doing it for a number of months or years you may already have a manuscript written, and have enough material to turn into a book. These days its a hugely popular option. With e-publishing and print-on-demand technology you can blog your book and it's not that expensive. Not everyone is comfortable with technology and some people only have access to the internet at work, or may be they prefer to read in other ways such as a paperback book. People who surf the internet may not come across your personal blog corner. Potentially books can reach a wider audience, and can also be used as a promotional tool for your blog. Its true that anyone can sit down and write an eBook today, just like anyone can set-up a blog, but eBooks definitely have a certain credibility. When you mention to your audience/followers that you've written a book or if you include your eBook in your biography, you get instant "expert" status. If you want to look trustworthy, having a well-edited and produced eBook is really important. Most of your current readers probably haven't read your earlier content because its been around for a while. Your archives and search box can help them find information but they may have missed out on your more brilliant and earlier posts which have gone unread in the archives. 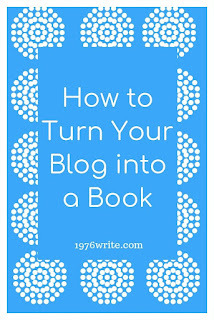 Surprisingly enough its not that complicated to turn your blog into an book. I've compiled a list of tips that will take you through the main conversion process. 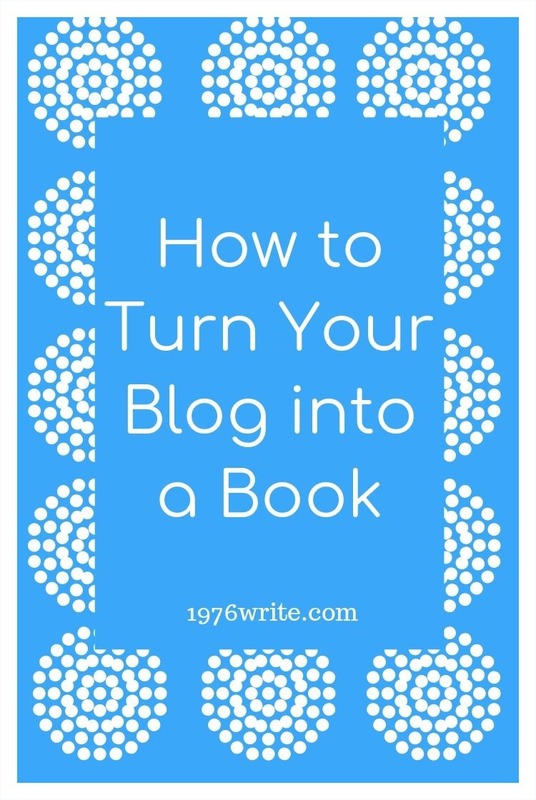 If you're really serious about turning your blog into a book, it's really important that you don't say you're going to do it but actually put your words into action. Otherwise you've mastered nothing. You need to start selecting all of the relevant blog posts that you've chosen for the main material of your book. Create a new file and add your relevant content, then read each blog post individually once more. Remember your book needs to be readable and make sense to your audience. Quick Tip: Make a list of your chosen blog posts before hand in your PC notebook. Once you've read all of your chosen blog posts start picking the posts that have the ideas that you want to end up in your book. If only half your blog posts fit the chosen subject matter don't be alarmed this is normal. Your book needs an introduction, middle and a conclusion. Don't worry if you haven't got a suitable blog post for the introduction or conclusion, write new ones. Then start adapting the blog posts for the main part of your manuscript. The cost of hiring an editor to professionally proofread your book can be very costly, especially if you don't have a budget to work with. Get your friends and family to read through your eBook, this will help you get your book to an acceptable standard and also help you see any of those annoying typos you've missed. As crazy as that sounds you can actually create your own book covers for free. Check out a recent blog post I did on book cover design 3 Great Reasons to Use Fotor. If you have some money to spend on a cover you can find 60 of the Best Book Cover Designers Online in this blog post.